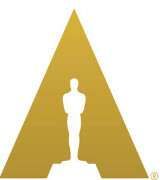 LOS ANGELES, CA – Academy governor Lois Burwell, event producer Cheryl Cecchetto and master chef Wolfgang Puck will team to create this year’s Governors Ball, the Academy of Motion Picture Arts and Sciences’ official post-Oscars® celebration, which will immediately follow the 91st Oscars ceremony on Sunday, February 24. The Ball’s 1,500 invited guests include Oscar® winners and nominees, show presenters and other telecast participants. For the 25th consecutive year, legendary chef Wolfgang Puck and the Wolfgang Puck Catering team will set the stage for Hollywood’s biggest night with a menu pairing glamour with innovation. Vice President of Culinary Eric Klein worked closely with Chef Puck to create more than 60 imaginative dishes, from one-bite hors d’oeuvres to small-plate entrees, that will be tray-passed throughout the evening. Alongside signature guest favorites of Smoked Salmon Oscars, Potato and Caviar 2.0, and Winter Truffle Baked Cavatappi and Cheese sit newly created menu items such as Heirloom Carrot “Tartare”; Vegan Torchio Pasta with Arugula, Tomato and Caper Berries; Nashville Hot Fried Quail with Red Velvet Waffle; and Loup de Mer with Romesco salsa. There will also be made-to-order sushi and raw bar served atop hand carved ice. The pastry team of Kamel Guechida, Garry Larduinat and Jason Lemmonier will create a seemingly endless array of three dozen show-stopping desserts including the popular 24K Gold Dusted Chocolate Oscars, Golden Piper Heidsieck Champagne and Strawberry Push-Up Pops, Square Pillow Cake with Coconut Mango and Passion Fruit, Black Forest “Cherry”, plus multiple action stations such as Affogato with Housemade Ice Cream and Stumptown Nitro Cold Brew. Wolfgang Puck Catering CEO Carl Schuster will direct more than 900 event staff through the evening’s intricately detailed logistics to deliver guests a true restaurant-style hospitality experience. For more information on the food, beverages and décor of the Governors Ball, visit https://www.oscars.org/press/governors-ball.